Strategically located in the heart of Europe, Northern Africa and the Middle East, Malta has established itself as a leading maritime centre offering an array of services and facilities to the marine and yachting industries. 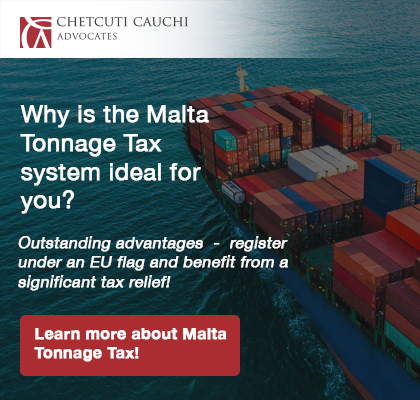 This, combined with Malta’s reputation of an experienced, reliable and efficient maritime jurisdiction, has positioned Malta as the largest ship register in the European Union and the sixth largest in the world. In addition to being party to numerous international conventions and regulations for the uses of the Sea and continental shelf, Malta is in the White-List of the Paris Memorandum of Understanding on Port State Control. Hence, ships flying the Malta Flag are less likely to be detained in ports for breach of international conventions. The Yachting Industry in Malta has two key facets, namely pleasure yachts and commercial yachts, the latter used as part of a business activity and to which the fiscal advantages outlined above for Malta shipping organizations also apply. In the case of pleasure yachts, in addition to the brisk registration process, Malta offers a favourable regime for VAT minimisation, potentially down to 5.4%, through a leasing set-up. Beyond the advantages that the registration process and the VAT yacht leasing presents, Malta offers yacht marinas that may be found all over the Maltese islands. These include facilities for super yachts, a factor which has made Malta an attractive hub for super yachts. Most marinas cater for requirements of yachtsmen, including fuel bunkering, technical services for repairs and services, luxury on-site facilities and immediate access to other off-site facilities.